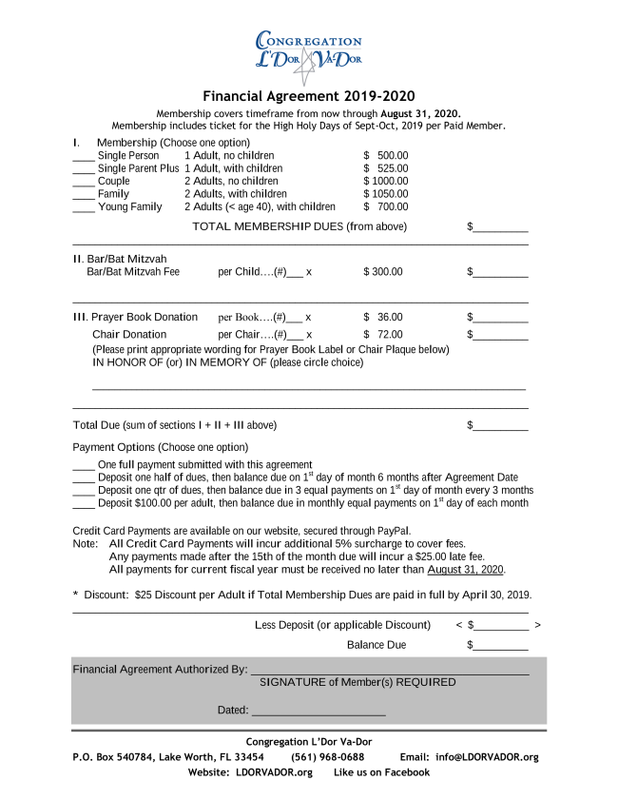 Please click the link below for a printable copy of our Membership Form and Financial Agreement. Mail your completed forms to the address indicated or bring them along the next time you worship with us. Please be sure to remit your payment as directed. Click on the following link 2019-2020 membership form . * All membership plans include one High Holy Day Services ticket per adult. The Single Parent+, Family, and Young Family memberships also include one High Holy Day Services ticket per child. For more information call 561-968-0688.